As we deal with the increased deposit in the institutional repository precipitated by the HEFCE Open Access Policy it rather strikes me that our increased activities meeting the policy can be seen as doing Open Access but is it really being Open Access? More researchers are conscientiously depositing Author Accepted Manuscripts into ORO to meet the requirement of the HEFCE policy, and in doing so they might think they are Open Access. But when we have to apply lengthy embargo periods of 12 months, 18 months or 24 months, is this really Open Access? For me it isn’t, and the increased activity in doing Green Open Access (for us depositing in ORO) brings into stark focus the drawbacks of Green Open Access as defined by the HEFCE policy (specifically allowing longer publisher embargoes than other OA policies). Complying with publisher embargoes is most keenly felt by Institutional Repositories. Academic Social Networking sites like ResearchGate don’t pay any attention to them, they are irrelevant to preprint servers (arXiv) and posting on personal websites takes the risk from an institutional level to an individual level, where people are consciously or unconsciously ignoring publisher restrictions. (In fact in some instances publishers only have embargoes on Institutional Repositories and not on personal websites). So publisher embargoes affects the efficacity of Institutional Repositories in doing Open Access the most. 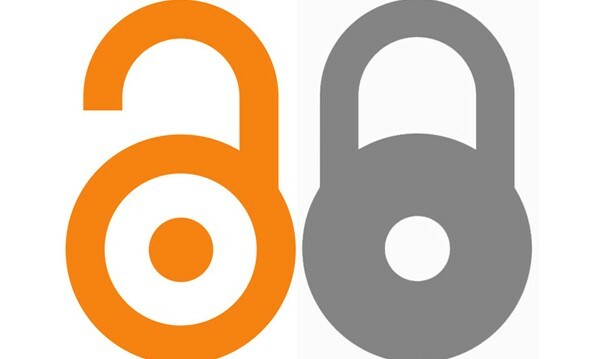 And we should be keenly aware of developments in scholarly communications that attempts to do open access, or should I say “content sharing”, in different ways to the traditional routes of Green and Gold Open Access. SciHub is the most disruptive, a pirate bay for scholarly publications, if you like. Academic Social networking sites like ResearchGate and academia.edu are perhaps the most prevalent. Traditional publishers like Springer/Nature are innovating and developing services that allows content to be read, streaming scholarly publications, but not be downloaded or saved, and almost certainly not, Text and Data Mined (TDM). So even though researchers are being expected to use Institutional Repositories more to do Open Access. These places may not be the best place to be Open Access. And so what happens when a researcher deposits an item in our Institutional Repository only to find a 24 month embargo applied to the item? What do they then do, and where do they actually go, to be Open Access? This entry was posted in Open Access, ORO, REF. Bookmark the permalink.